We take a look at the latest version of FRANZIS' HDR software to see what's new and how much it improves on version 4. FRANZIS are continuing to update their product line-up with new versions and the latest piece of software to receive the upgrade treatment is HDR projects. As the name suggests, HDR projects 5 is HDR software (if you're not sure what HDR is, have a read of this - HDR Explained) and it's available in a standard and pro version. On test, we have the pro version, which you can currently trial for free, and features all of the tools FRANZIS believes you need to create awesome HDR photos. We've actually reviewed the previous version of the software so we won't be giving you all of the ins and outs of the software (if you want these, check out the previous review) but we will be looking at all of the new features FRANZIS has introduced and scoring how well they perform. If you've used HDR project 4, or any other of FRANZIS' software for that matter, you'll be familiar with the layout of the interface (if it ain't broke, don't fix it right?) but it's good to see that the software now has plugins so it can be used with Photoshop and it's also 4K friendly, something pros will appreciate. 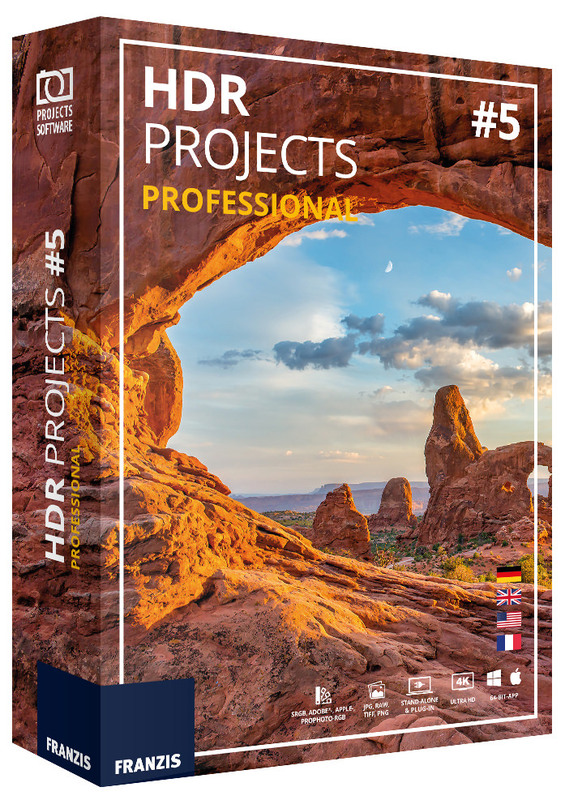 The software is still a doddle to use and with 21 new presets added to HDR projects 5 professional, you now have 155 presets to scroll through, click and preview. As we said before, not all presets work on every image, and some are a little garish, but with 155 to pick from, we're sure you'll find one that works. You can preview all of the presets in the Preview Gallery but it can take quite some time for this to load as the software has to apply every single preset to your photo. When loaded, it looks like a contact sheet and among many other things, you can now compare two images with a 'before & after' effect by selecting one image with your left mouse button then choosing the one you want to compare it with by clicking your right mouse button. It's useful for quick referencing and can save you having to scroll through all 155 presets. You can 'HDR' just one image by simply selecting a preset and hitting 'save' but if you'd like to go down the traditional route of bracketing shots you can now select 55 images to combine per bracketing series, 22 more than you could in version 4. General tweaks have been made to the HDR algorithm to make the software run faster and the software now supports 8 colour spaces. Other updates worth a quick mention include the ability to see photos on a map, font size choices when using menus and a hot key list (shortcuts) have been embedded into the program. HDR Algorithms are used to determine the weighting of each individual exposure in a series - pixel for pixel - and two more HDR algorithms have been added to the list you can choose from. Every algorithm has a different effect, depending on the bracketing and subject, so it's worth going through them one at a time to see how they affect your photos. The two new algorithms are 'repro neutral' and 'repro intensive' which have been designed with scan data particularly in mind but we found 'Entropy' to be fine, which is set as the standard algorithm in HDR projects 5 pro. In the post-processing expert mode, which you can find on the right-hand side of the screen, you'll find two new tone mapping procedures. 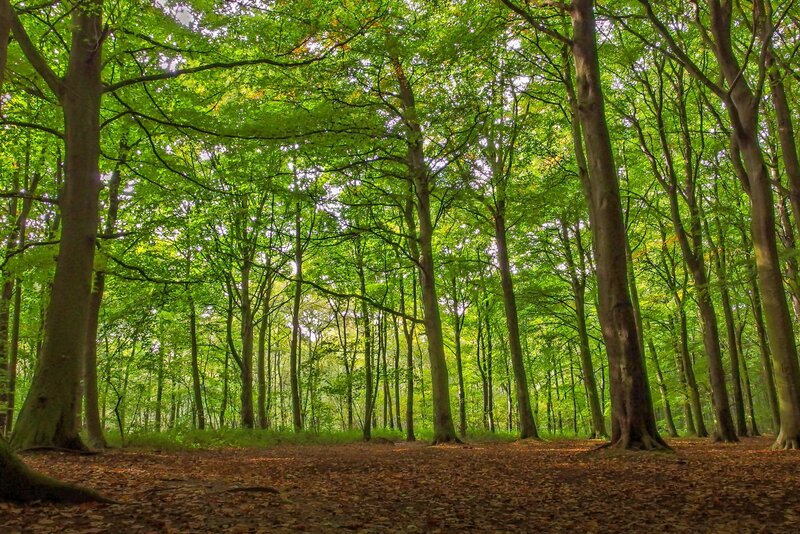 The tone mapping feature is useful when you've created an HDR image where the dynamic range varies widely as these options can help you bring the range down to a presentable level and also improve the overall look of the final photo. 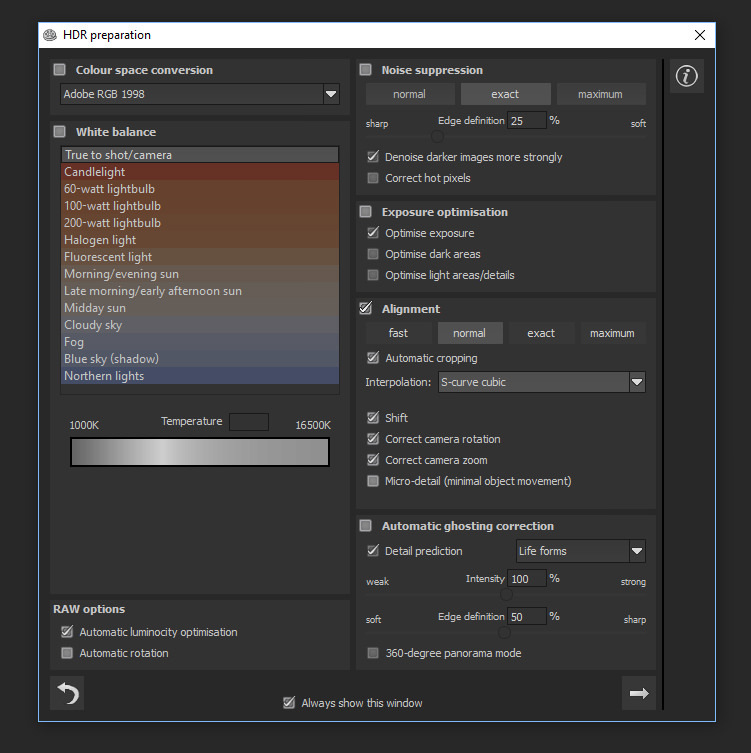 There are 11 Tone Mapping algorithms that can be combined or used individually in HDR projects 5 pro and they're applied by simply double clicking on them. 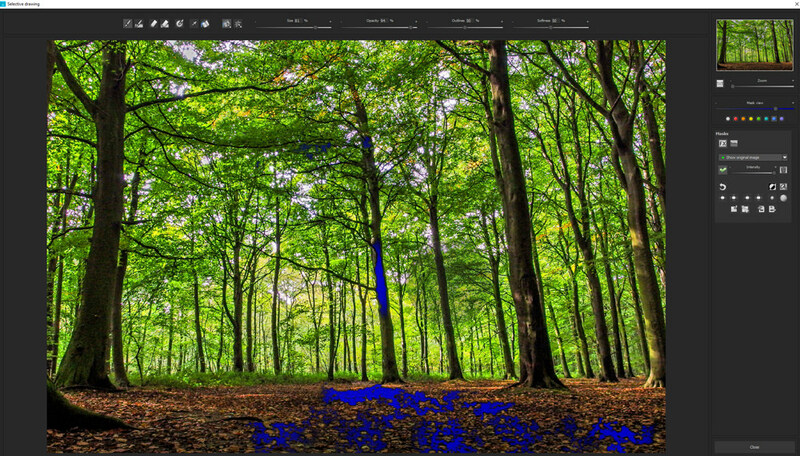 'Tone Mapping Contrast' and 'Tone Mapping Brilliance' are the two new algorithms added to the list which further expands your choices when it comes to tweaking and perfecting your HDR image. Not all of the options work on every image but having the option to apply specific edits such as these should please those who don't like to rely on just automation. There are also 16 new post-processing effects added to the, what was, an already substantial list found on the right-hand side. 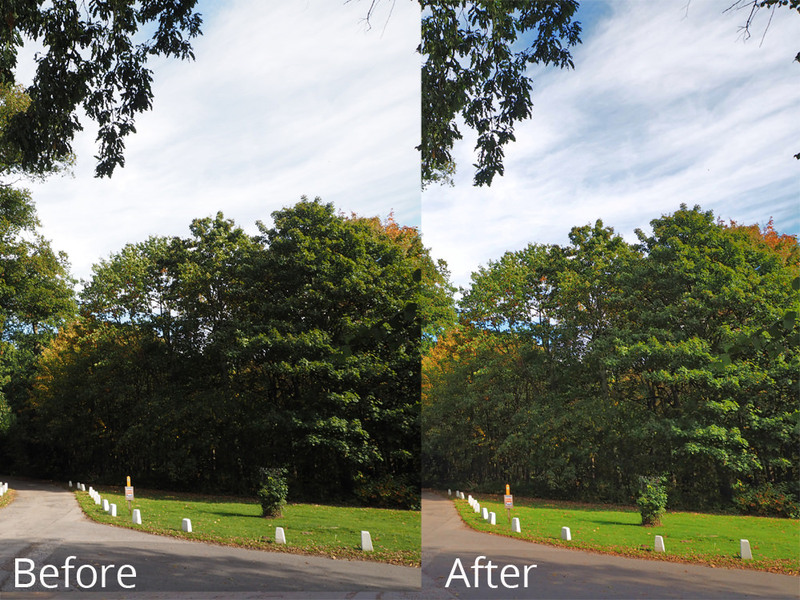 Ghosting Correction is a useful tool that isn't new but it has had a few tweaks to improve it and this includes the automatic tool now taking into account contrast range to produce an even better result that has plenty of detail. You can create an image with high-contrast, one that's well-balanced or an image with limited contrast which is useful when you need to use tone mapping to bring out more detail. Below the buttons which automate the process you'll find curve displays that map the brightness levels of the image. They're not interactive and you can't move points on the graph which might be annoying to some. 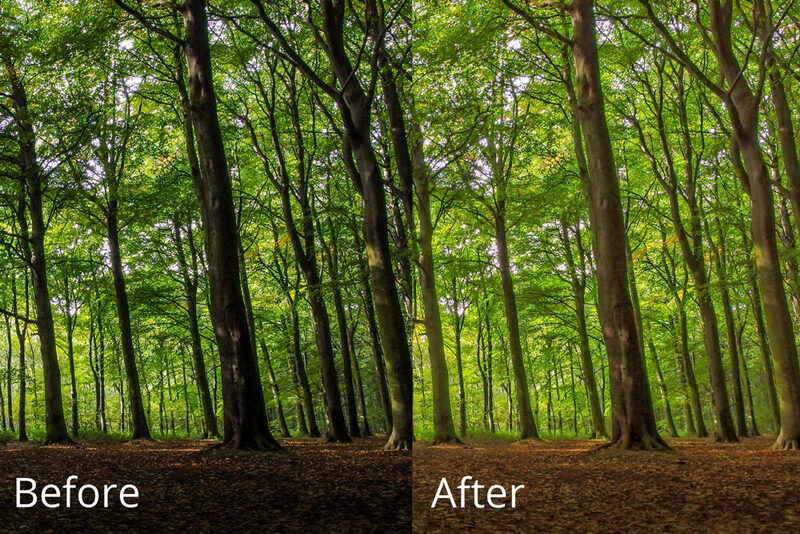 When using the HDR preparation window, which pops up after you open your images, you'll also find a new option to automatically correct ghosting which is handy to have. In the same window, you'll find a tick box which tells the software you want it to take charge of 'brilliance optimisation'. What this means is that the software amplifies the tonal values of your RAW image, taking into account some of the tonal range data RAW images miss out. However, FRANZIS only recommend you use this option when creating an HDR image from a single RAW file. 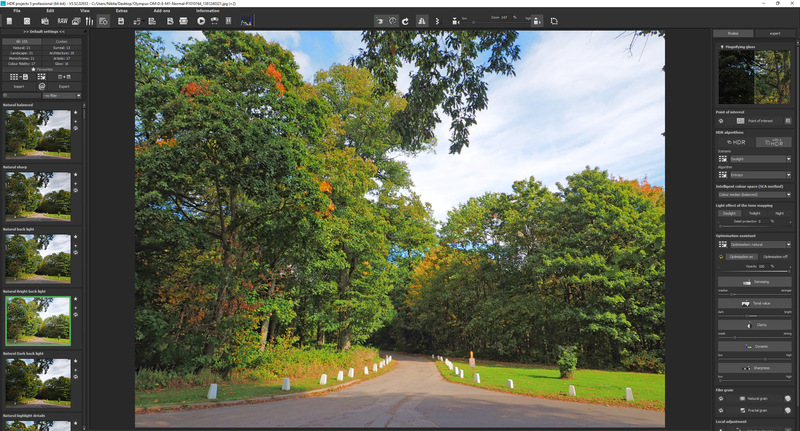 If you're working with bracketed images and click the 'edit exposure bracketing button' you'll find another set of tools for tweaking your HDR image. 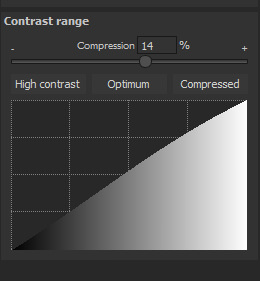 A new option you'll find here is 'HDR contrast range automatic optimisation' which takes some of the guesswork out of setting the optimal contrast range. The automatic optimisation tools can be found below the manual controller and there are three choices: High contrast, Optimal and Compressed which make changes to the image with the click of a button. There's also a curve graph which shows you how the contrast range has been changed but, once again, it's not interactive, which is a shame, as some find it easier to plot manual edits on curve graphs. For those who work with RAW images frequently, there's a RAW module built into HDR professional 5 pro which has also had some new features added to it, including 8 more effects and tools to adjust light diffraction, dynamic brightness, trapezoid distortion and colour dynamic. More tools are rarely a bad thing and by FRANZIS expanding the RAW module further, you're given even more control over how your final image will look. The 'new feature' countdown continues with a brisk look at batch processing as FRANZIS has added a useful renaming module to it which will come in handy when working with many images and the selective drawing window has a few new tools, too. These include options to adjust contrast, blending features, new mask features and a smoothing brush. The option to change the mask colour will mean you won't have any confusion when applying multiple masks and masks can also be created from a specific colour or even brightness level with a pipette tool. The smoothing tool is useful as it's not as harsh as the normal masking tool you use so the effect that will be applied won't be as harsh. You can also soften the mask even further by brushing over the area several times. Global Mask Functions are worth a mention as they're great time-saving tools which can be used to adjust the entire mask line. There are two buttons, one to lower the effect and the other to increase it, and they're used by simply clicking them - easy. Before moving on from the selective drawing window, it's worth noting that it also works directly with the RAW module and this includes 'Distortion Correction' which is applied automatically to drawn masks. When saving an image, you're given even more options before you finalise the photo and these include the ability to add captions as well as cropping tools. Several practical aids for perfecting your composition have been added and these include activate guidelines like the rule of thirds, the golden section and the golden spiral. There's also a quick method for centring the image and 71 cropping formats to choose from (FRANZIS definitely like to give you plenty of choices). An update we would like to have seen is the introduction of an 'undo' function and/or a history tab but unfortunately, this still doesn't exist. There is a timeline you can add restore points to so you can access previous edits but you need to add these manually by clicking the 'save a restore point' button and it's something that can easily slip your mind to do. As a result, you may apply a preset or make a manual edit you don't like and it's not straightforward to rectify. Noticeably more detail in the fallen leaves as well as on the tree bark. Noticeably more detail in the foliage at the back of the shot as well as in the sky. HDR projects 5 Pro is available for $289 (roughly £228) which is a substantial amount of money for a piece of software that has just one purpose. The standard version is a little cheaper at $149 which works out at around £117 but that's still much higher than other HDR software on the market. 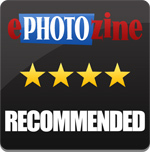 For example, Photomatix Pro 5 is available for around £70 and Aurora from Macphun is priced at £91 but this is only compatible with Mac. You can also pick up software such as PaintShop Pro X9 Ultimate from Corel which is available for £53.99, although this isn't a standalone HDR product. Adobe CC memberships start at £10 per month but again, Adobe doesn't have a product that just focuses on HDR. HDR projects 5 does have plenty of features, new and old, though and the introduction of 4K compatibility is a big plus as too are the plug-ins for Photoshop and Elements. However, even taking these points into consideration, we feel the asking price is still a little high. FRANZIS' HDR software has always offered plenty of presets and features to help you create HDR images and the latest version is no different. 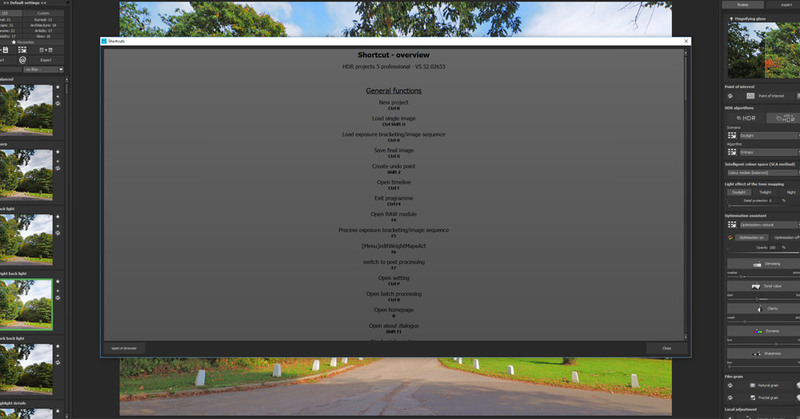 In fact, FRANZIS has added even more presets to the list and the manual options have been expanded, too. 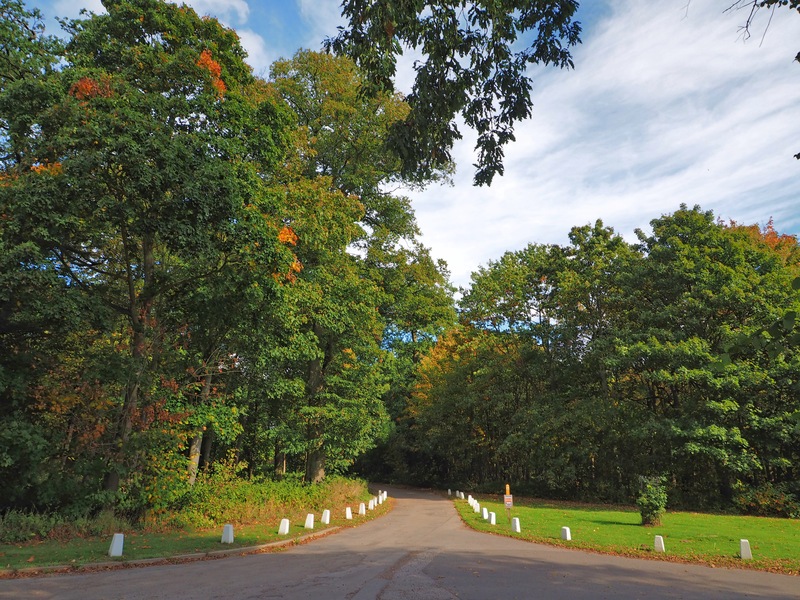 The presets make it easy for an HDR novice to use while the extra tools on offer will be used by those who have more experience in the area of HDR photography. Plus, the fact that the interface is now 4K compatible will please Pro users. One niggle we still have with the software is the lack of an 'undo' button which can make editing photos frustrating at times and the price is a bit steep which is a shame as the software is really easy to use and produces great results. It's well worth giving the free trial a go so you can see how the software performs for yourself. Overall, the features that have been improved or added are welcomed.